I recently ran across a statistics book and began to think about similarities to strategic planning. Statistics: a mathematical science pertaining to the collection, analysis, interpretation or explanation, and presentation of data. It also provides tools for prediction and forecasting based on data. Until this week, I had not thought statistics had much in common with strategic planning. It became evident there is far more linkage then seemed. Strategic planning analyzes probable outcomes with uncertainty of future events – a constant challenge. We make decisions with limited data. Our reliance on past experiences and our hope for the future deeply colors our ability to predict and plan. As it remains hard, see: impossible, to sample the future, we constantly sample the present and the past to guess about the future. In statistics, mathematical odds estimate probability outcomes. Since outcomes are in the future they are unpredictable. Collecting raw data intends to help decide what to do. As it is beyond usual effort to collect 100% of the data available, we sample a subset population and that data presented has a numerical value of confidence – called a confidence interval – that the next sample falls within that range. In the strategic planning effort, I can play the confidence interval out a bit further when organizations use lessons learned or industry comparables to develop their plan. I know that no two conditions are the same and I have little confidence the strategic plan meets the success range. In strategic planning we sample the unknown. We speculate from current-state pressure, demand, or pain, and usually build hope. Statistics, forecasts, probability, and profit each depend on informed judgments. All risk involves the objective facts and a subjective desire of what is to be gained, or lost. Both are essential and neither is sufficient. Compound the human challenge that we must wade through individual and collective wants, needs, values, bias, motivation, and other barriers of understanding, can we expect to plan anything with even a 50% likelihood, or confidence, of success? With statistics stacked against us, human nature continues to drive us to develop plans. We believe only others fail. This explains gambling: the casino pays the winners with the money collected from the losers. The Project Management Institute defines risks as any outcome that has a positive or negative effect. Positive risk is called opportunity. Maybe we should begin to call strategic plans, risk management plans. 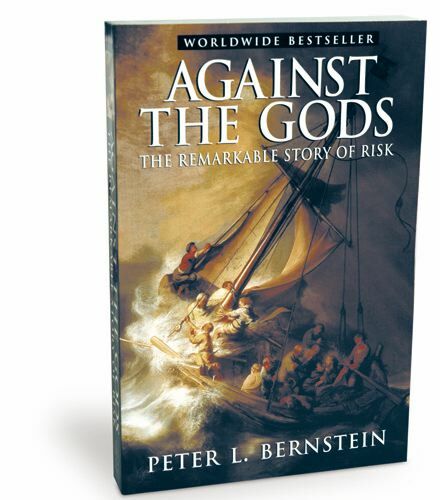 I found “Against the Gods, The Remarkable Story of Risk“, by Peter L. Bernstein, a great read and of immense practical interest for anyone in business.